Our mission is to give everyone the tools they need to teach and learn code. If you're part of a school, nonprofit, or other organization with an educational mission, let's work together! 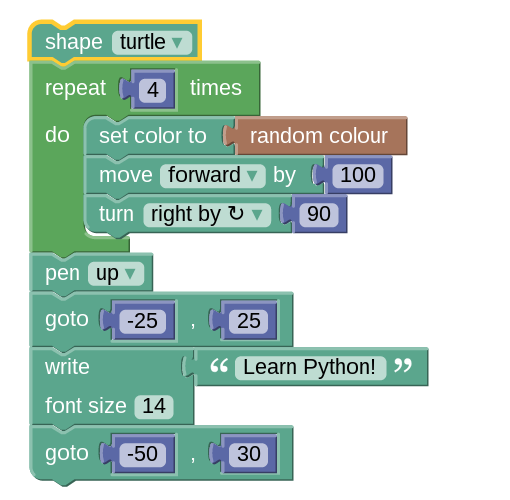 Teachers around the world are already bringing code into their classrooms. We're working on the next big thing in tools for teaching code, hand-in-hand with a small number of schools. If you're a school leader or department head interested in helping us design and test our upcoming products, get in touch and we'll give you more information about the program. Trinket helps static curriculum come alive. Embedded interactive examples drive up engagement and turn your curriculum into an interactive learning resource. Trinkets are free to make and use in curriculum around the web. If your organization is doing something innovative with trinkets and would be interested in being featured on our site or blog, please let us know what you're up to. Trinkets are perfect digital media objects for online media sites and course platforms. We already support free embedding of iframes on any platform. We're testing an advanced content creation API with several publishers and platforms. If this technology might be a fit for your goals, please get in touch.